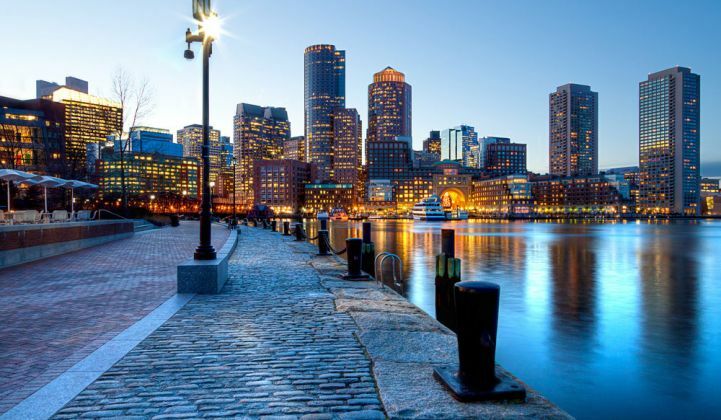 Massachusetts could become an early adopter of a policy to use more renewables during moments of peak grid demand. The governor included language in a proposed bill to allocate $1.4 billion toward climate adaptation and environmental stewardship. The so-named Clean Peak Standard would require a minimum level of clean energy to supply the most expensive 10 percent of grid hours each year. The policy would complement the state’s broader renewable generation goals and ensure that clean energy goes to work at the times when capacity is most valuable. It would likely require the addition of energy storage to make intermittent wind and solar dispatchable on demand. The Massachusetts proposal echoes a law in California and a proposed clean energy overhaul in Arizona. It tackles the key cost driver for utilities in the coming decades: creeping peak power demand, which would traditionally drive build-out of natural-gas plants. Green added that he wants to see language that won't lead to additional natural-gas consumption, but will drive investment toward clean technologies like storage and microgrids. The text currently leaves it up to DOER to define what qualifies as a clean peak resource, “including, but not limited to” renewables, storage and demand response. When the Aliso Canyon gas leak left Southern California without reliable peak capacity, the state fast-tracked a storage procurement that delivered close to 100 megawatts in 2016 across several densely populated urban communities. Storage developers responded with speed that would be impossible with new gas plants. A state analysis from 2016 found that 1,766 megawatts would optimize system benefits for ratepayers, but concluded that 600 MW by 2025 was more feasible and would save residents $800 million in system costs. That level of storage would equate to roughly 5 percent of the state's peak load.